It used to be that a Principal held all the power in the school. Nowadays, the shift is moving towards students being in charge of resolving their conflicts. At O.I.S. 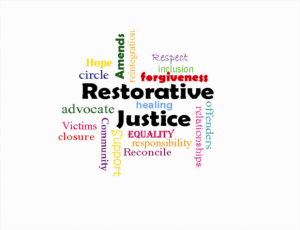 we support this, and employ Restoratice Justice pratises for tackling issues. Take steps towards making things right. The result of the conversations is often a strengthened school community, less instances of bullying and students who, overall, feel safer and happier. This is because students learn how to effectively interact with one another and manage their relationships. They become well-equipped to understand likely results of certain actions, and are more skilled to monitor future behaviours. All of our teachers undergo mediation training to ensure that students are receiving the best support possible. At O.I.S. we are committed to creating a positive and healthy environment for every member of our learning community.